Join us on a full day tour to Florence from Rome. Visit the highlights of Florence, such as the Accademia Gallery and see Michelangelo's David and the famous cathedral Duomo. Book your tour from home and secure your spot on this popular tour! We begin our journey by heading North from Rome and crossing the green valley of the Tiber, you pass the slopes of the Apennines covered with olive groves and vineyards to reach the famous valley of Chianti, before finally arriving in Florence, a renaissance city built on the banks of the river Arno. 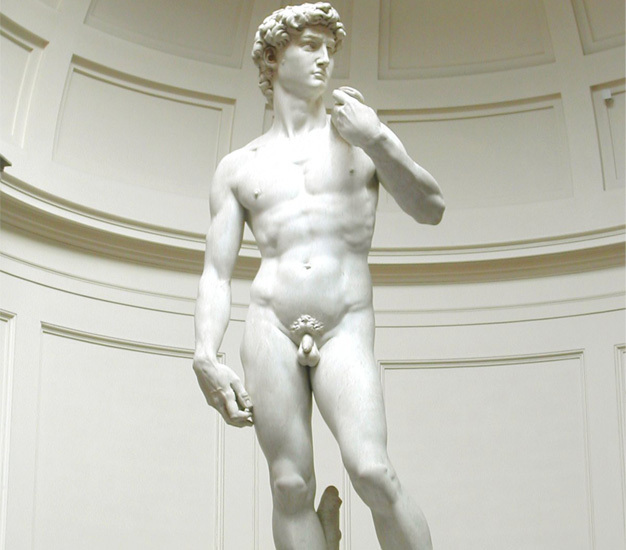 Your tour of Florence starts with a visit to the Accademia Gallery where you will skip the lines to see the magnificent David by Michelangelo. Next we continue on foot with your local guide to see the Duomo with its beautiful dome by Brunelleschi. 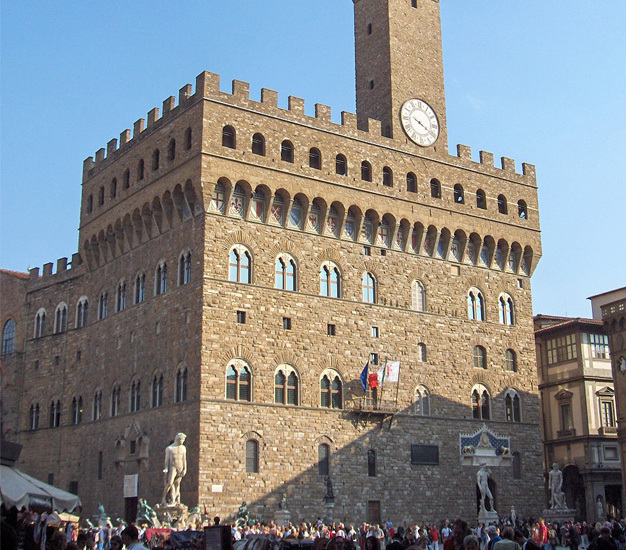 Other treasures such as the Baptistry and Giotto’s Bell Tower will also be admired before reaching Piazza della Signoria, the heart of Florence. Next you'll enjoy a nice lunch in a typical Florentine restaurant in the Piazza della Signoria area. Then we'll resume the tour making your way to the piazza and church of Santa Croce, where the great Michelangelo was buried. You will have the opportunity to visit a leather shop in order to admire one of the typical crafts of the city, and here you will also have some free time to see the work of local goldsmiths and other traditional craftsmen. At approximately 5 PM, we'll leave Florence and head back to Rome. The price of the tour includes lunch, transport, guides and all admission fees. Shortly after your booking is complete your e-ticket is sent directly to your email, just print it out and bring it on your tour. The tour starts at Green Line Tours' office in Rome. The address will be on your e-ticket. Please be there 20 minutes before the tour starts. The tour ends at Green Line Tours' office in Rome. The tour lasts approx. 13 hours. There is a strict dress code at the churches you will visit on this tour. Shoulders and knees must be covered for both women and men. Sandals are considered appropriate. No, there aren't children's tickets available for this tour. - The tour operates in all kinds of weather, so wear appropriate clothes and footwear. Tuesday, Thursday and Saturday at 07:15 or 07.30am. Be there 15 minutes before the tour start.